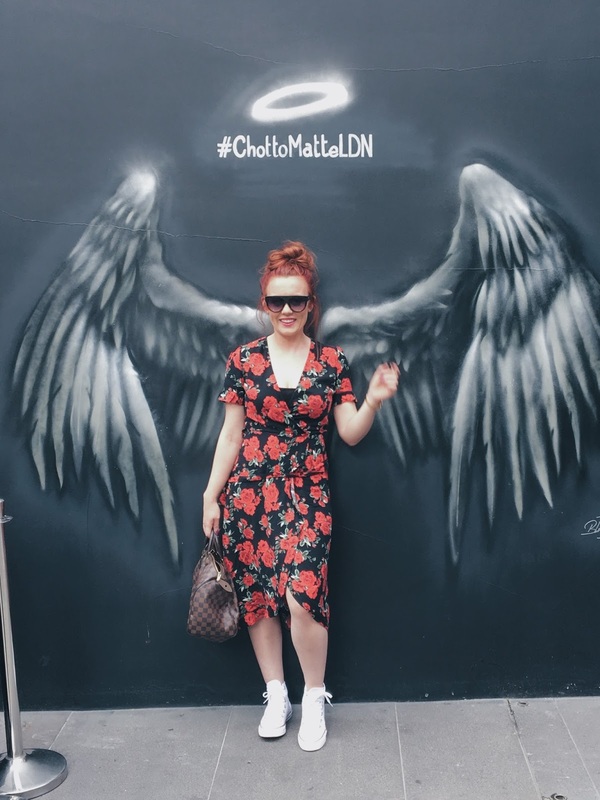 What Larsy Loves - A Lifestyle Blog : IS THIS THE MOST INSTAGRAM-ABLE BRUNCH IN LONDON? IS THIS THE MOST INSTAGRAM-ABLE BRUNCH IN LONDON? 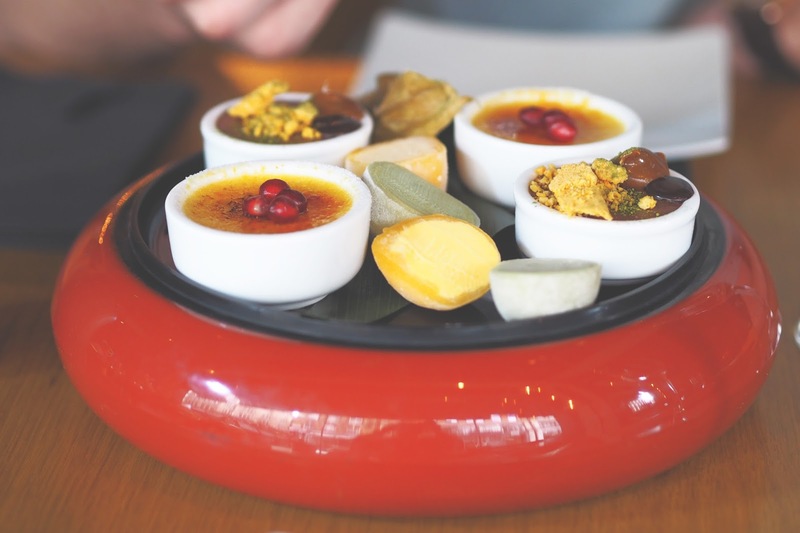 Brunches are a little like buses on the blog at the moment. I don't write about one for AGES then suddenly, I give you two in the space of a week. 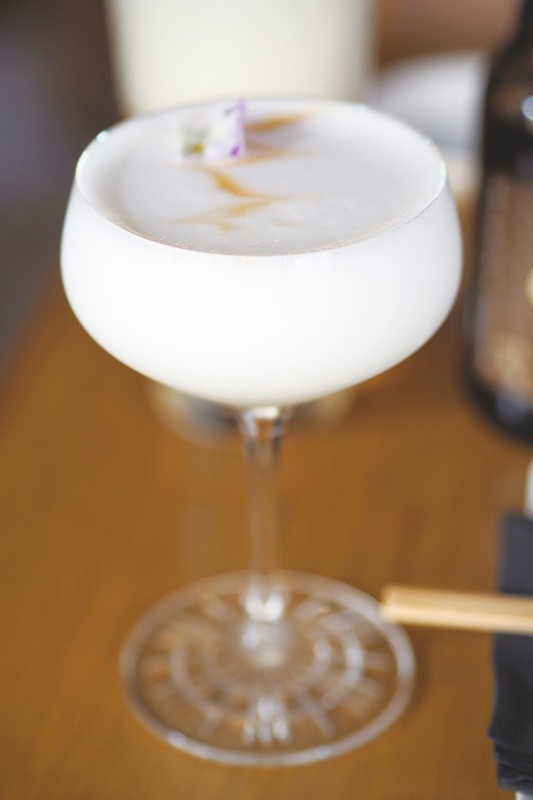 Well, all I can say is 'you're welcome' because this week's brunch comes to you courtesy of Chotto Matte and I promise you're going to LOVE it - I know I did. 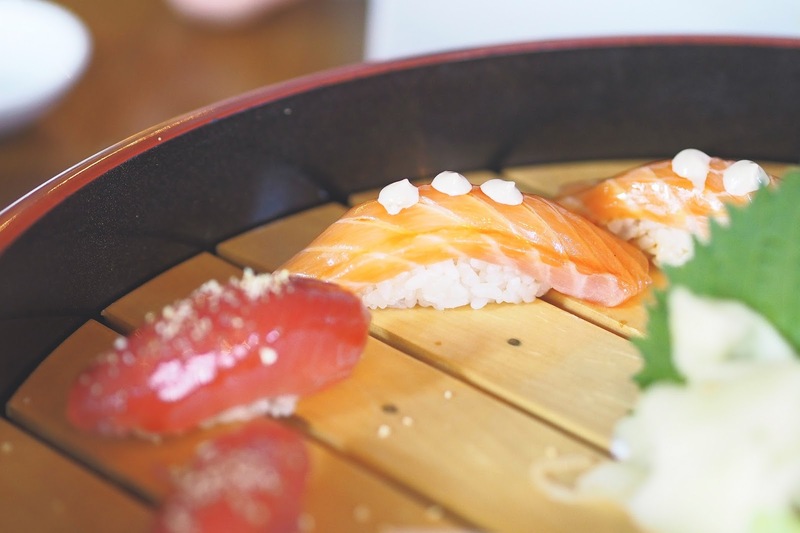 Chotto Matte (if you aren't familiar with it) is one of the coolest restaurants in London. 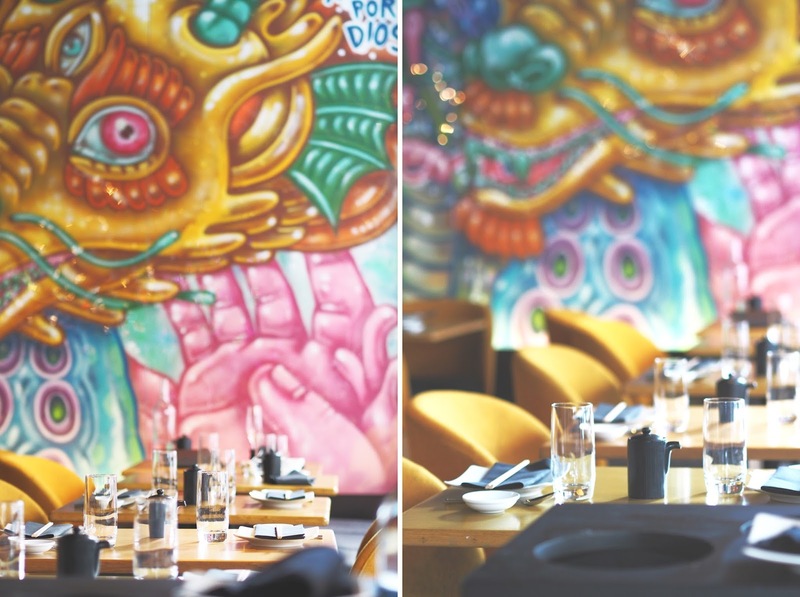 They fuse Peruvian and Japanese cooking to serve up the most incredible 'Nikkei' cuisine, all in this super trendy, vibrant setting. Everything is effortlessly cool. 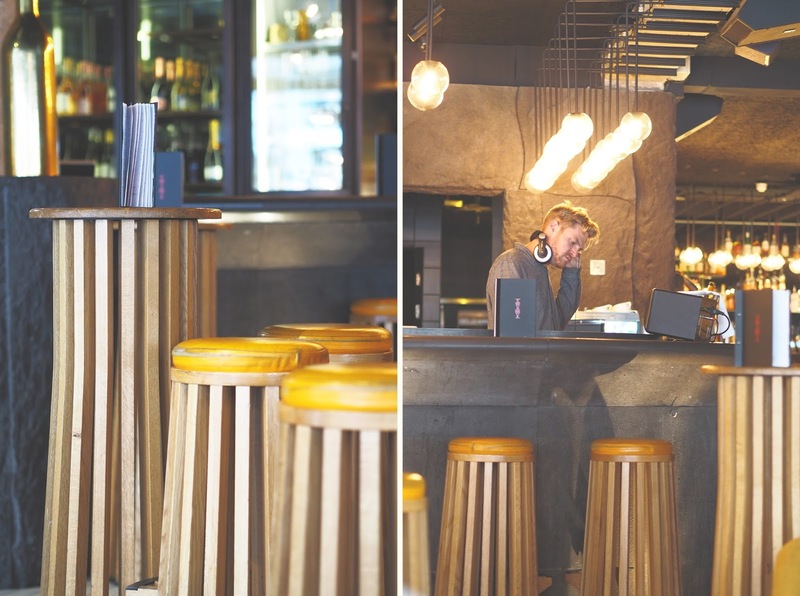 From the black marble floors and concrete pillars through to the DJ who plays laid back beats while you eat. It's easy to see why this place has been such a huge hit in London over the last few years and I'm really excited to be able to share the new brunch experience with you guys. Clocking in at £50 per person, it's a little steeper than some of the brunches I've previously featured but the quality of the food is incredible. Tangy and creamy with one hell of a kick! 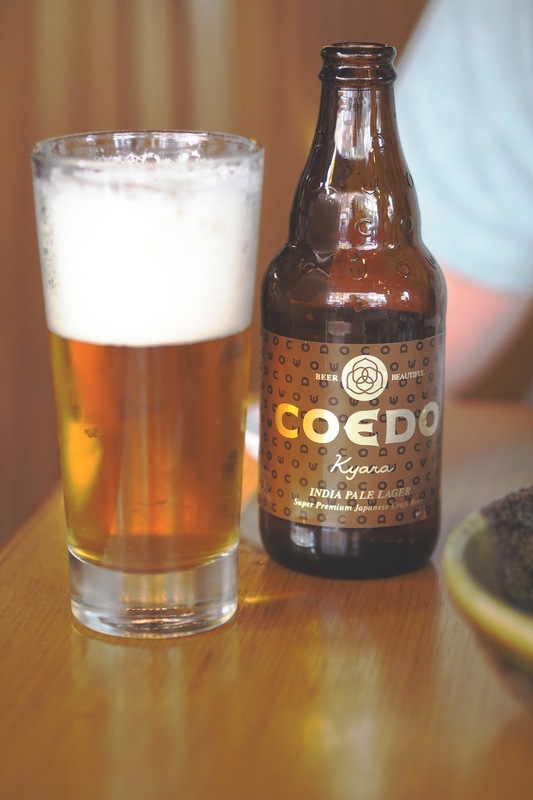 There's also Pimm's, Bloody Marys, whisky and a pretty impressive selection of Japanese craft beers to whet your whistle before an epic five course feast. Oh - and did I mention you get half a bottle of prosecco or wine per person too? Sounds pretty dreamy, right? First up is the Peruvian classic ceviche. 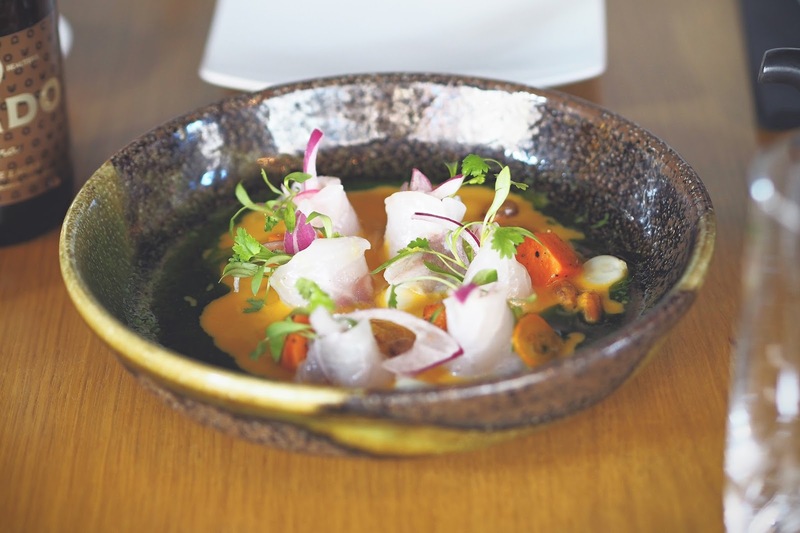 A perfectly arranged plate of sea bass sashimi dotted with chunks of sweet potato, red onion and Peruvian corn in the most delicious leche de Tigre (or 'tiger's milk) dressing. I adore Leche de Tigre - it has this incredible citrusy flavour with just a subtle hint of spice. All I know is that you'll want a spoon to scoop it all up before the waiter whisks your plate away. The Nikkei Sepia calamari is ridiculously good too. 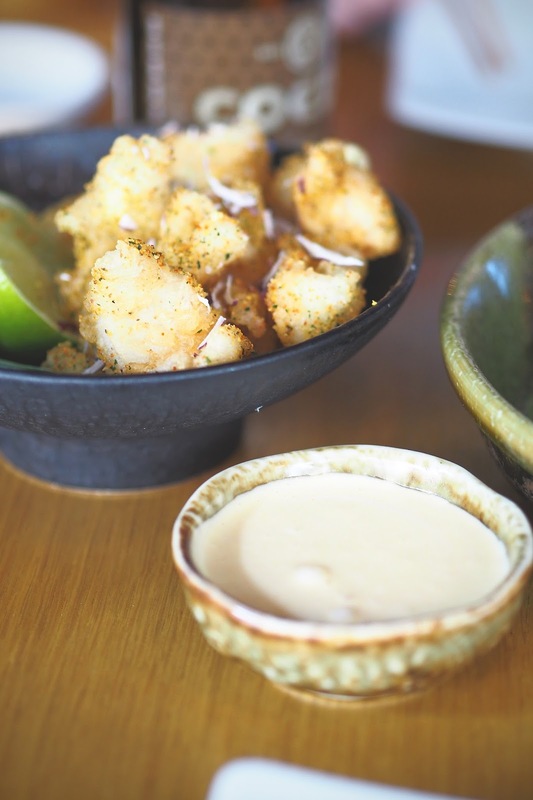 Salty and wonderfully crisp - perfect after a generous dunk in the silky aji Amarillo emulsion. Next a Sushi lovers dream. 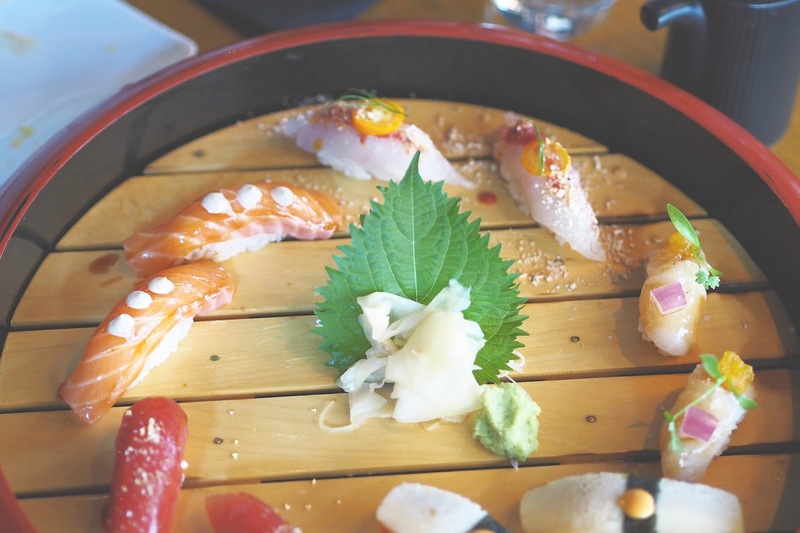 Six pieces of hand-made sushi presented on a jaw-dropped platter which takes centre-stage at your table. There's Maguro (tuna), Hotategai (scallop), Sake (salmon), Hamachi (yellowtail) and the Suzuki (seabass). Each is topped with expertly cut slivers of the highest-grade fish and decorated like little jewels. 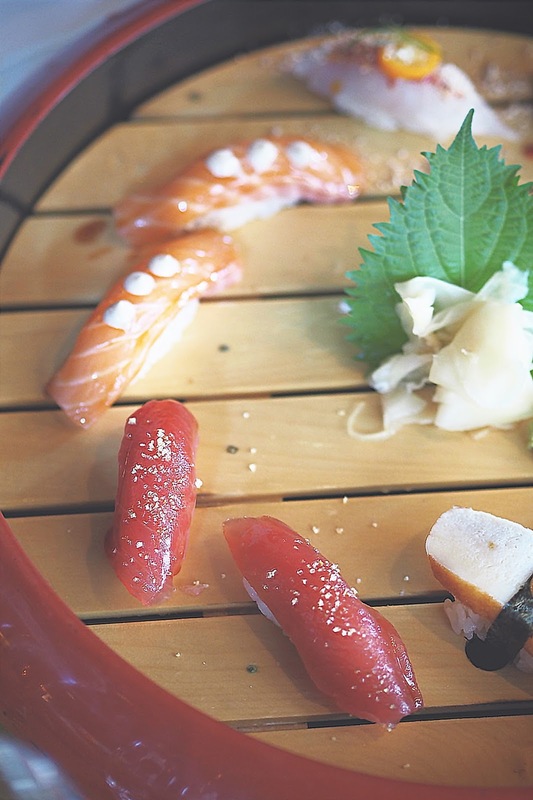 It's some of the freshest fish I've tasted and really exceptional quality. 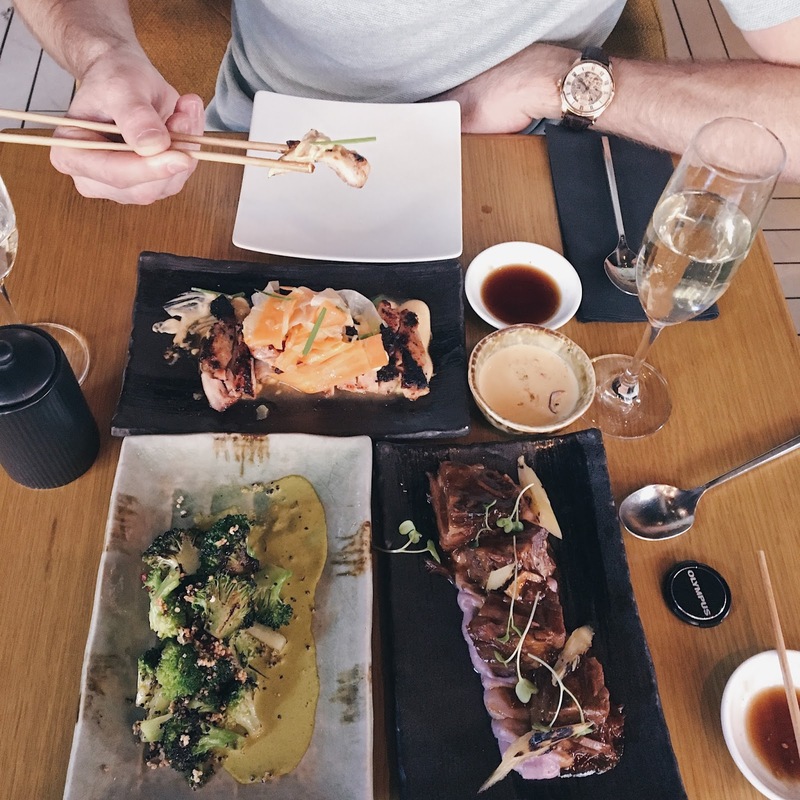 For your mains, there's dishes from the robata - a Japanese style grill which is favoured in restaurants like Roka and Zuma. There's the 'Pollo den miso' which packs in the most incredible smokey, charred flavour. 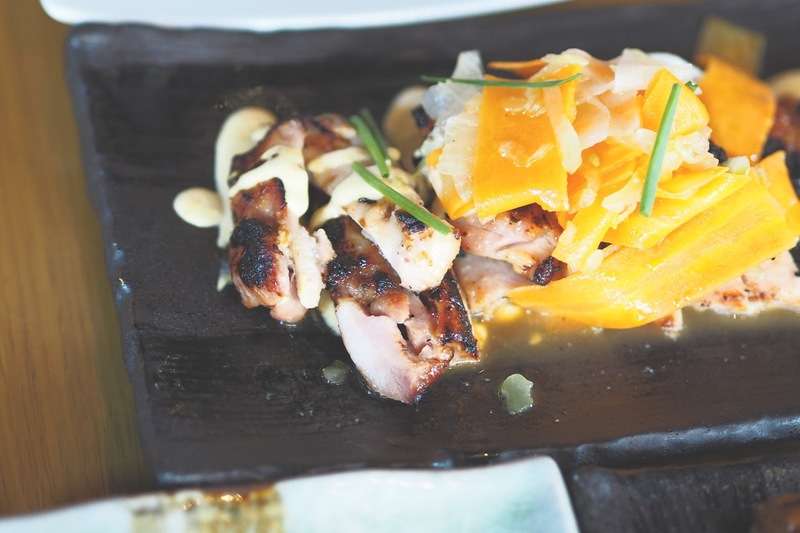 It's made up of slices of chicken marinated in miso and served with carrot, daikon, yellow chili salsa and more of the delicious aji Amarillo dressing. 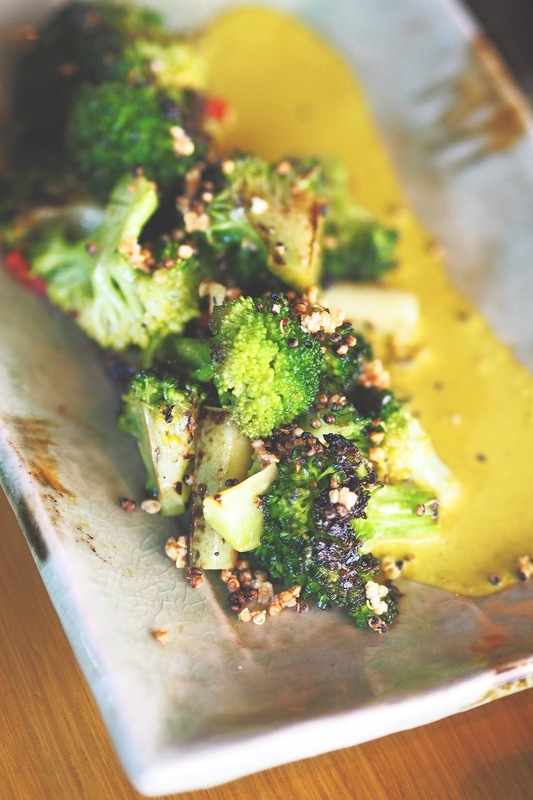 Then there's the Sake sautéed broccoli which is perfectly cooked with just the right amount of crunch. Be warned, the dressing has a REAL citrus punch, verging on just little too bitter for me so be liberal with it! The 'Asado De Tira' though, this is beautiful. 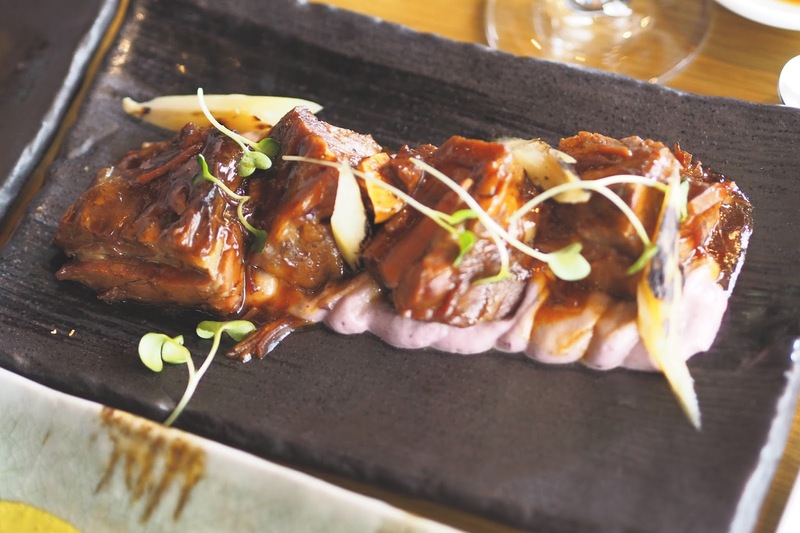 Generous chunks of beef short rib marinated in a sticky teriyaki jus, served with asparagus on a bed of purple potato. The meat is perfectly tender and almost melts in the mouth. 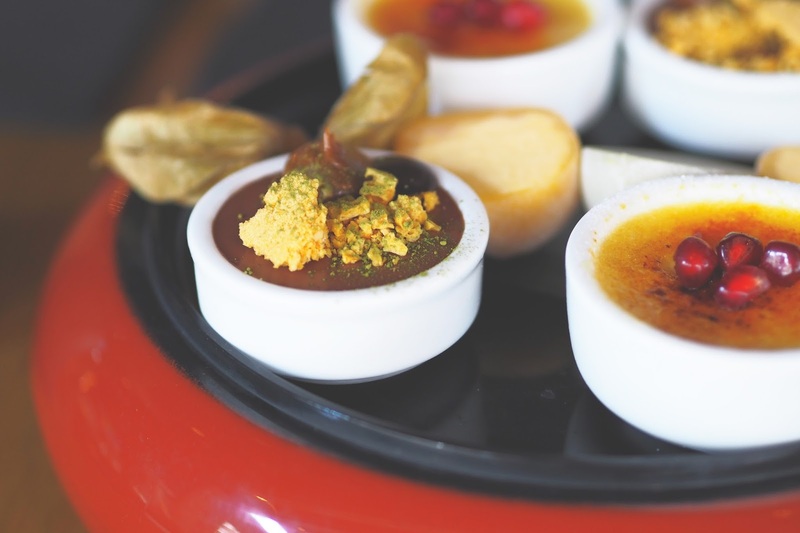 For pudding, what's better than a trio of desserts? There's the traditional Japanese favourite mochi balls, little balls of ice cream in a Mango or Green Tea flavoured casing. 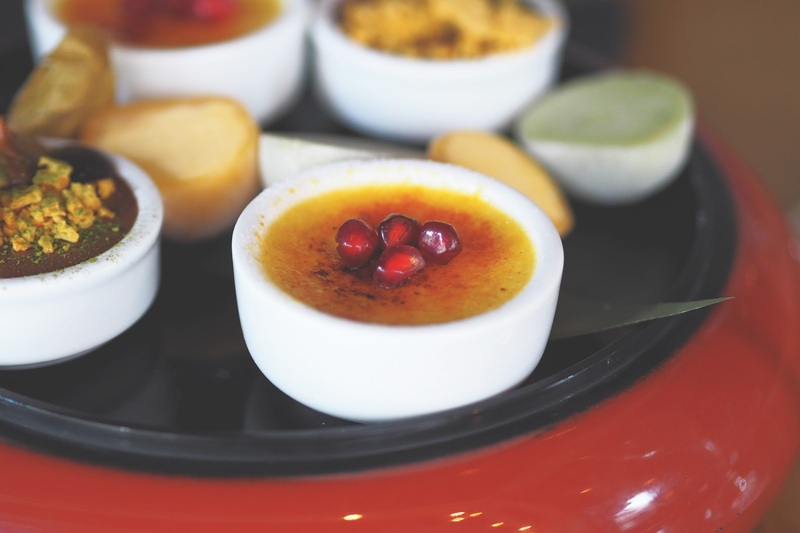 and my favourite: the passion-fruit creme brulee. The perfect way to round off an incredible feast! We really loved the brunch offering at Chotto Matte. 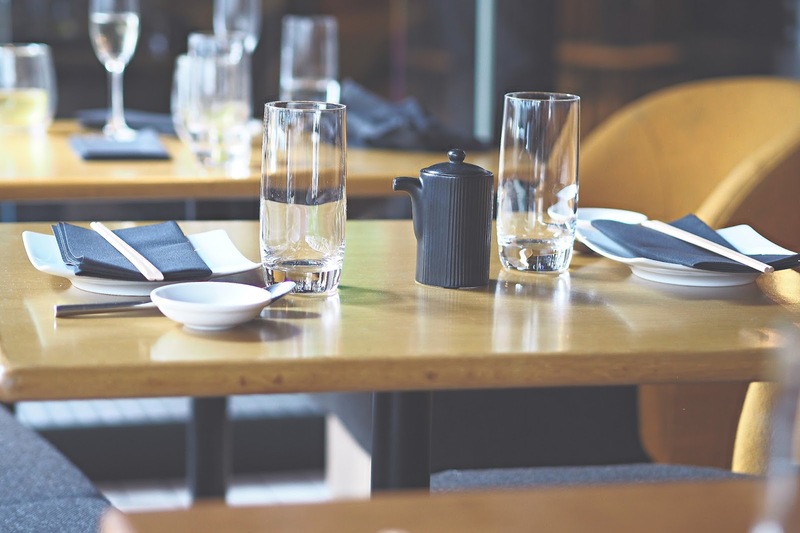 The quality of the food and the service is exceptional so you can see why it demands a higher price tag. While it's not somewhere you'd pop to every weekend, it makes the perfect venue for a special occasion. If I was being really picky, I'd say that for £50, I would expect the prosecco offering to be bottomless (like it is over at Roka) but that didn't take away from us having a brilliant afternoon. 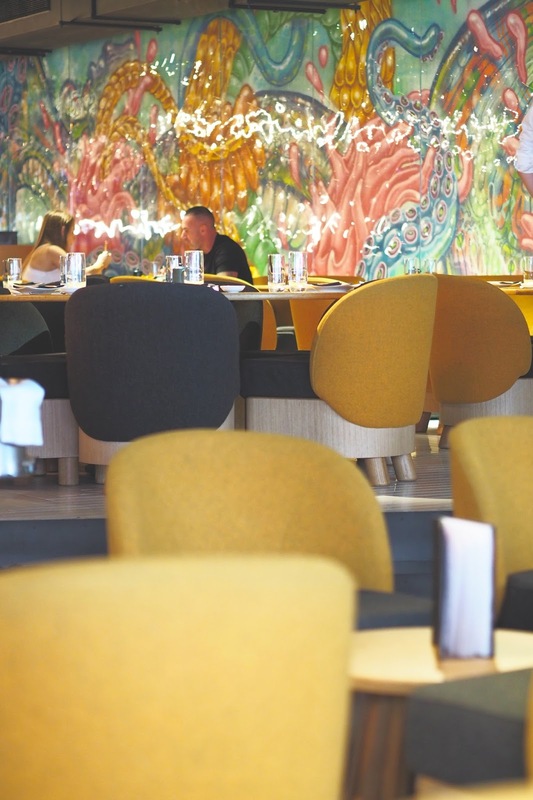 If you've got a birthday or anniverary coming up, make sure you reserve a table - and make sure you get that perfect Instagram snap on your way out! Great place and your picture are amazing ! It sounds lovely, love a good brunch. Is it a set or tasting menu? The photos look great.